North Korea has finished construction of a new hydropower plant in North Hwanghae Province according to local media reports on Friday, as part of a project with the UN’s United Nations Framework Convention on Climate Change (UNFCCC). The Ryesonggang Youth Power Station No. 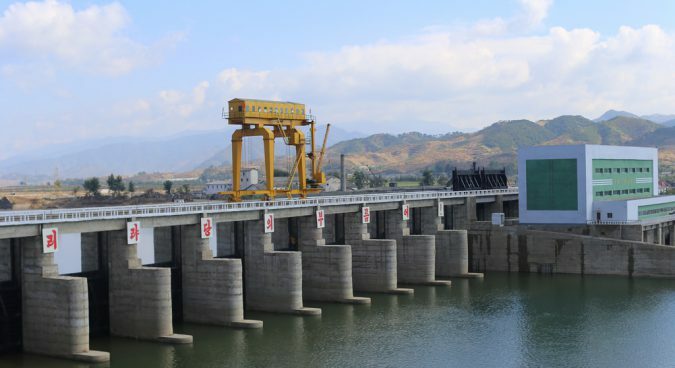 3 is one of six hydropower generating projects linked to a carbon credit selling scheme which the DPRK hopes will earn more than $5 million a year. But the construction work has not progressed particularly rapidly. 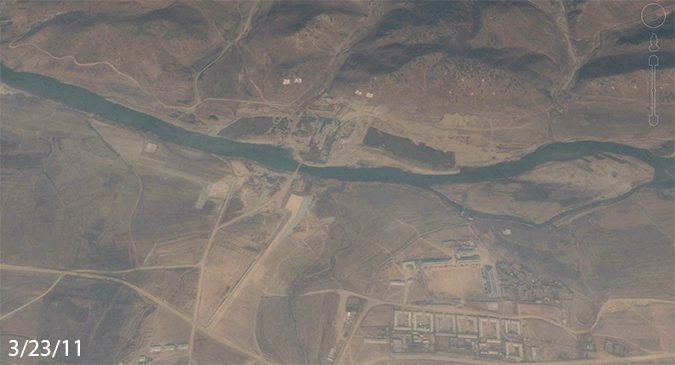 “On June 25 2011, North Korean television showed construction of the Ryesonggang Power Station No. 3 had begun, so it has taken quite a few years to complete such a small hydropower station,” Curtis Melvin, a Washington DC-based North Korea researcher at the U.S. Korea Institute told NK News. Satellite imagery confirms the project’s long gestation period, with Google imagery dating back to 2011 showing some initial ground clearing. The photographs also indicate much of the external construction appeared complete in October last year. More recent images taken at the end of February show only minimal changes externally, though work could have been progressing on the more technical internal construction. The hydro plants are and Clean Development Mechanism (CDM) carbon credit selling scheme are being done in conjunction with a Czech Republic-based company called Topič Energo. Topič’s manager spoke to NK Pro last year saying the hydro-plants would like all be completed by the end of 2017. “I have visited Ryesonggang No. 4 one month ago during verification on the site visit and project is operational. I expect that we will verify remaining projects next year,” Miroslav Blažek said in July 2016. But industry reporting Carbon Pulse indicated that North Korea might still have trouble monetizing its carbon emission reduction (CER) credits. “Several emissions exchanges have barred their members from dealing in CERs from countries on the U.S. Office of Foreign Assets Control’s blacklist, which include Syria and North Korea,” an article published on June 28 last year reads. “North Korea had submitted the No. 3 power station to the UNFCCC carbon offset program, but as far as I am aware now, this particular program will not be offering the DPRK any additional revenue.” Melvin added.